Beckett Grading Services provides collectors with the most thorough, consistent and accurate grading efforts available in the industry. 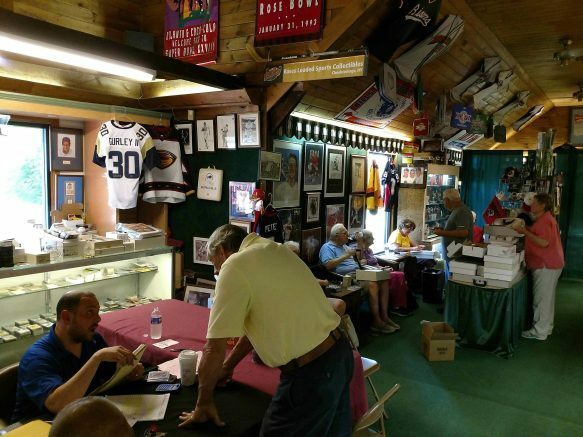 Bases Loaded Sports Collectibles will host Charles Stabile, Northeast Regional Sales Manager from Beckett Grading Services, in the store from noon to 7 p.m. Friday, Feb. 8 and 10 a.m. to 3 p.m. Saturday, Feb. 9. The store is located at 794 French Road, Cheektowaga. Beckett Grading Services provides collectors with the most thorough, consistent and accurate grading efforts available in the industry. BGS-graded cards will be returned in a unique, protective cardholder. Beckett uses an easy-to-understand one- to 10-point grading scale to rate sports cards, which are graded on four key categories: Centering, corners, edges and surface. Grades from each of these key categories will be considered in determining your card’s final overall grade. Beckett also grades non-sports cards, magazines, pocket schedules and gaming cards. Prices are $15 per item (plus $2 per autograph) with a return in 20 to 30 business days. For every 10 items submitted for grading, customers will be entered into a contest to win an autographed 8×10 photo of Patrick Kane, Andre Reed or Marv Levy. Collectors who can’t make the grading event can drop off their items in advance at Bases Loaded. For more information, please call Bases Loaded at 656-0066, visit basesny.com or email jeff@basesny.com. You can also follow Bases Loaded on Facebook at www.facebook.com/pages/Bases-Loaded-Sports-Collectibles/247591781924767 for frequent updates. Be the first to comment on "Beckett card grading event coming to Bases Loaded Sports Collectibles"